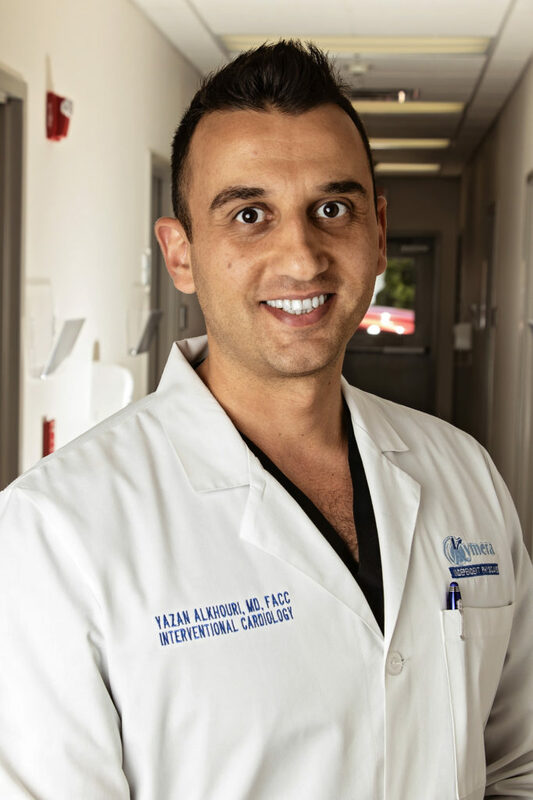 Dr. Yazan Alkhouri, MD, FACC attended medical school at University of Jordan for Science & Technology, where he obtained his Medical degree in 2004. He then traveled to Paterson, New Jersey, USA where he completed his Internal Medicine residency at Saint Joseph Regional Medical Center at Mount Sinai School of Medicine in June of 2009. In July of 2009, He began his Cardiology Fellowship through Seton Hall University, completing this training in 2012 through Saint Joseph’s Regional Medical Center, Saint Michael’s Medical Center and Trinitas Medical Center followed by his Interventional Cardiology Fellowship which he completed in 2013 through the same university. Dr. Alkhouri is ABIM board certified in Internal Medicine, Cardiology, Interventional Cardiology, and Echocardiography.He is also a fellow in the American College of Cardiology. Dr. Alkhouri has joined Kymera in March 2016. Before going to medical school, Dr. Alkhouri was in the National Swimming team of Jordan. He participated in many championships and obtained medals for his country. He enjoys swimming, working out and music. He plays and composes middle eastern music.